Artecy Cross Stitch. A Rival Attraction Cross Stitch Pattern to print online. 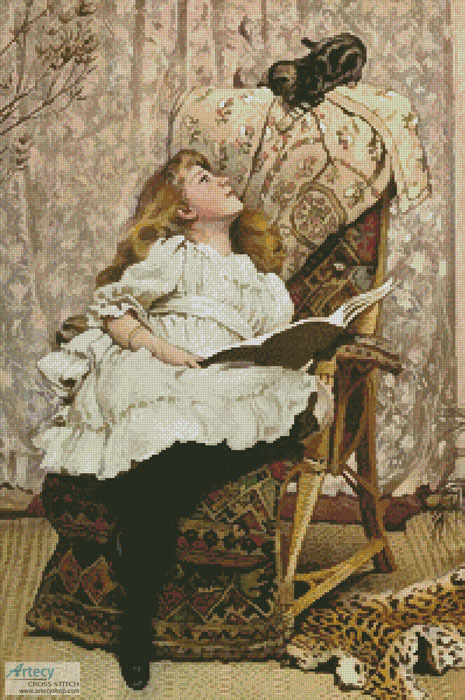 This counted cross stitch pattern of a Girl with a Kitten was created from Artwork copyright of Charles Burton Barber.